Or not. But some interesting visitors just arrived. 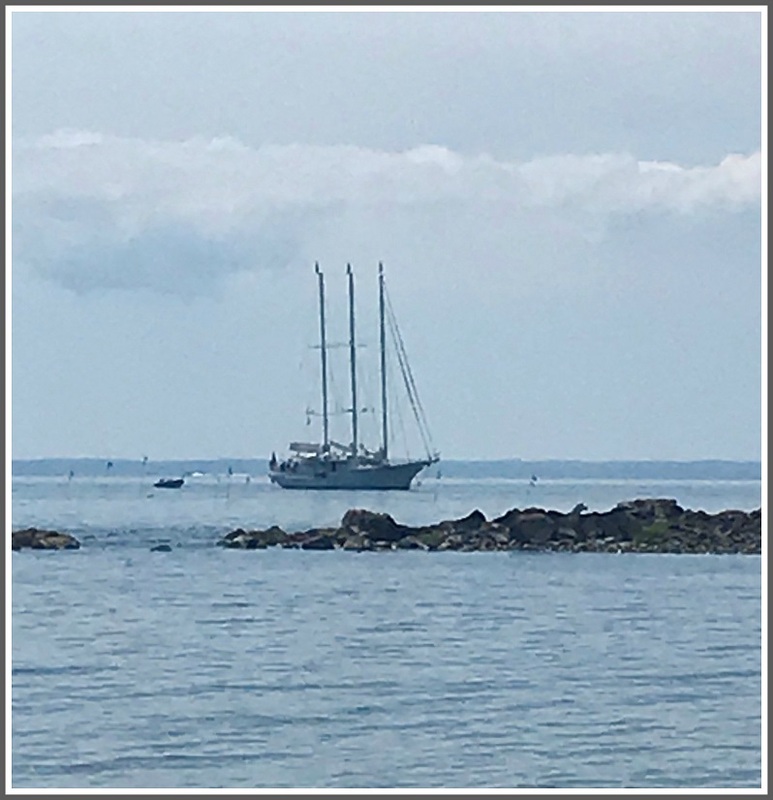 You don’t see many 3-masted schooners off Compo Beach these days. But Ellen Bowen spotted this beauty a few minutes ago. It dropped anchor right off the jetty. If it’s yours, let me know. I’d love a tour, up close and personal! This entry was posted in Beach and tagged 3-masted schooner, Compo Beach. Bookmark the permalink. Ahoy Matey’s, I wanna a tour too, Dan! Hi Dan! This beauty is part (carrying crew, etc..) of two 12 Meter America’s Cup boats that have ariived today at Black Rock Yacht Club in St. Mary’s by the Sea. My husband is crewing on one of them tonight! Fun race for the evening! Pray for some wind for us – not much as we speak!